NEIL LENNON has revealed he treated his mis-firing Hibs players to a team-bonding session at an Edinburgh hotel in a bid to arrest their slump in form. The Northern Irishman has dished out ample tough love during a miserable run of four games without a win, most recently branding his side “amateur” and “insipid” in last week’s 2-1 IRN-BRU Cup defeat against St Mirren. However, Lennon decided a change of tact was in order and, following a candid team meeting on Monday, the squad got together as a group to watch Scotland’s defeat against Slovakia and “let their hair down”. And the Hibs gaffer hopes to reap immediate benefits against Raith Rovers today. “We had a chat and then we decided to have a night out with the players – out on Tuesday for a nice meal and a few drinks just to break it up. “We went to a hotel and watched the Scotland game privately with the team and then I just let them do their own thing after that. “In the modern day that is frowned upon but the players are human beings at the end of the day. They train well and train hard and I felt that it would be good for them to let their hair down. “I think when you have not won for a couple of weeks you can batter them and stay on top of them. That tough love can work sometimes or it can go the other way and deteriorate. We didn’t want that to happen. 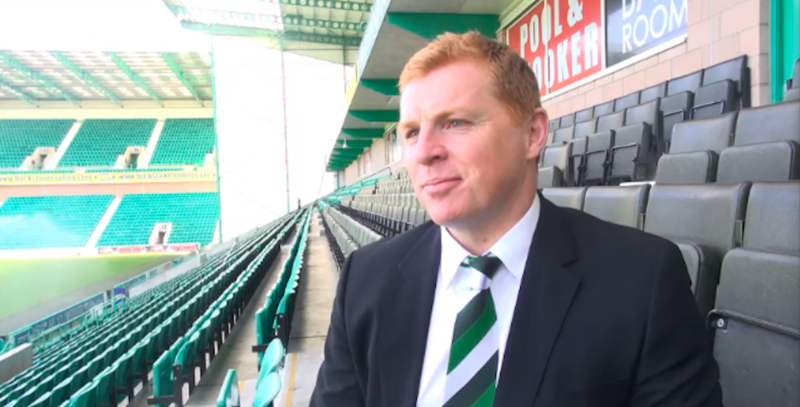 Lennon confesses he questioned his own methods following the defeat against the Buddies but believes his players must be strong enough to deal with criticism at a club of the stature of Hibs. And he is desperate to see a return to the standards set during the opening weeks of the campaign, when the Hibees pieced together five league wins on the bounce. He continued: “I was highly critical of them after the St Mirren game and they should be able to take criticism on board. I can’t sugar coat things all the time. How else could I describe last weeks performance? “However, honesty can sometimes be misconstrued and taken the wrong way. They didn’t play well but we decided to pick them up this week. We went the other way and looked at taking their minds off things. 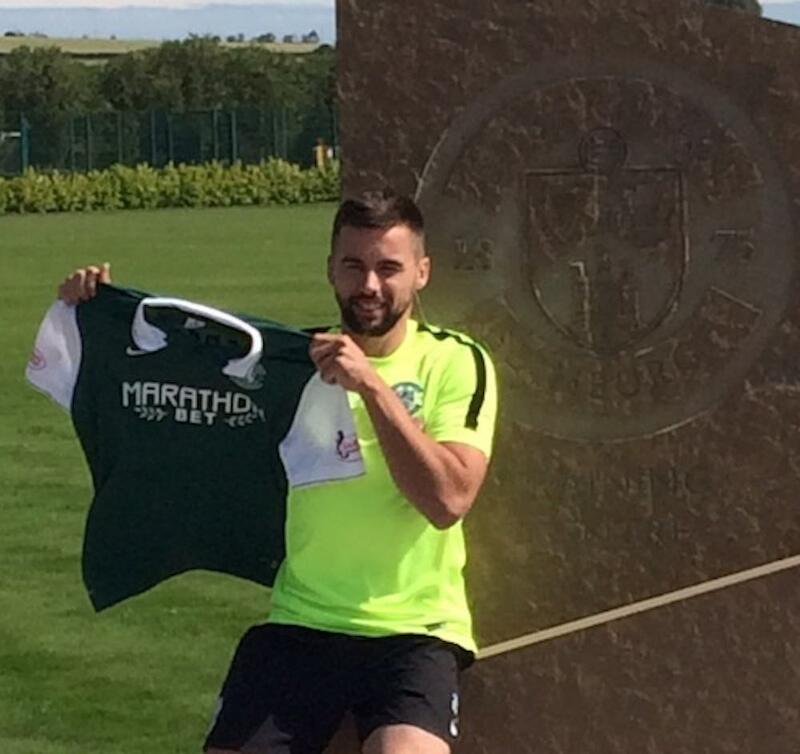 Meanwhile, Darren McGregor is determined to find the net in Fife – after his last goal against Rovers put him on the path to Hibs immortality. The boyhood Hibee found the net in Kirkcaldy in January, opening the scoring before Dominique Malonga made the game safe to guide Alan Stubbs’ side into the fifth round of the Scottish Cup. Little did McGregor know that it would prove one of the waypoints on Hibs’ journey to lifting the trophy for the first time since 1902. He was, however, was acutely aware that his scrambled effort in Fife was Hibs’ 1000th goal in the competition, an achievement that has been immortalised in his mum’s house in Leith. He smiled: “I’m reminded about that goal every time I go into my mum’s house. She has a little plaque saying ‘Hibs’ 1000th goal in the Scottish Cup’. “I’ll cherish that one for the rest of my days and it’s one I can look back on. “I would take that [goal] again on Saturday – a wee mis-hit past the keeper. That was a good game and really important moment in our Scottish Cup run so it was a special moment. “I’d savour one tomorrow just as much because it’s a difficult place to go and we are on a poor run at the minute.